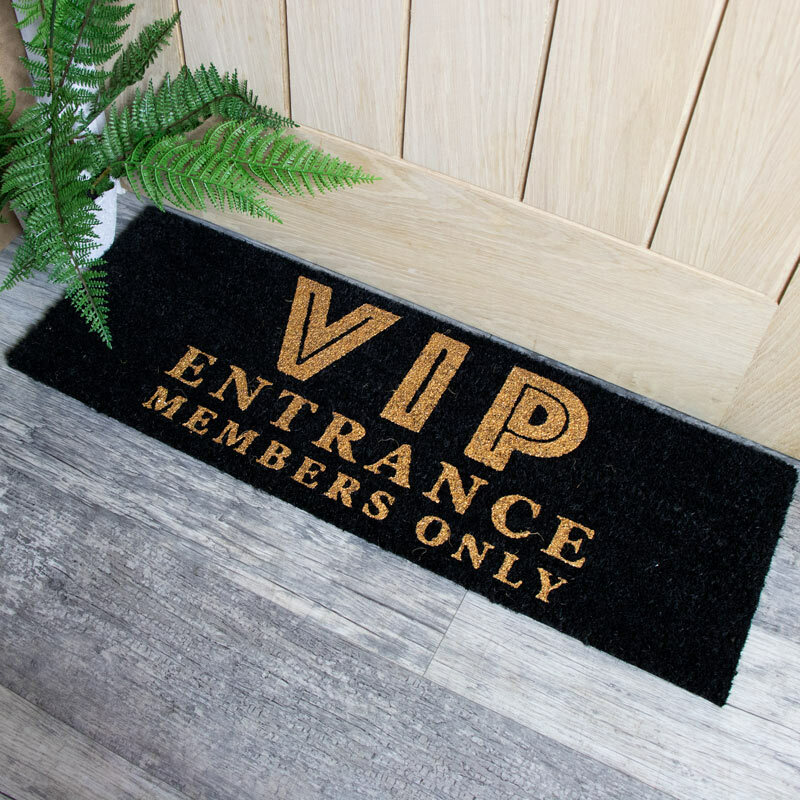 Welcome your VIP guests in glamorous style with this coir door mat. The perfect entrance mat for outside your door. Rubber backed with black coir top and gold lettering. This door mat adds a touch of humour to your home and will get people talking. Decorated with the words 'VIP Entrance Members Only' for a fun home accessory. 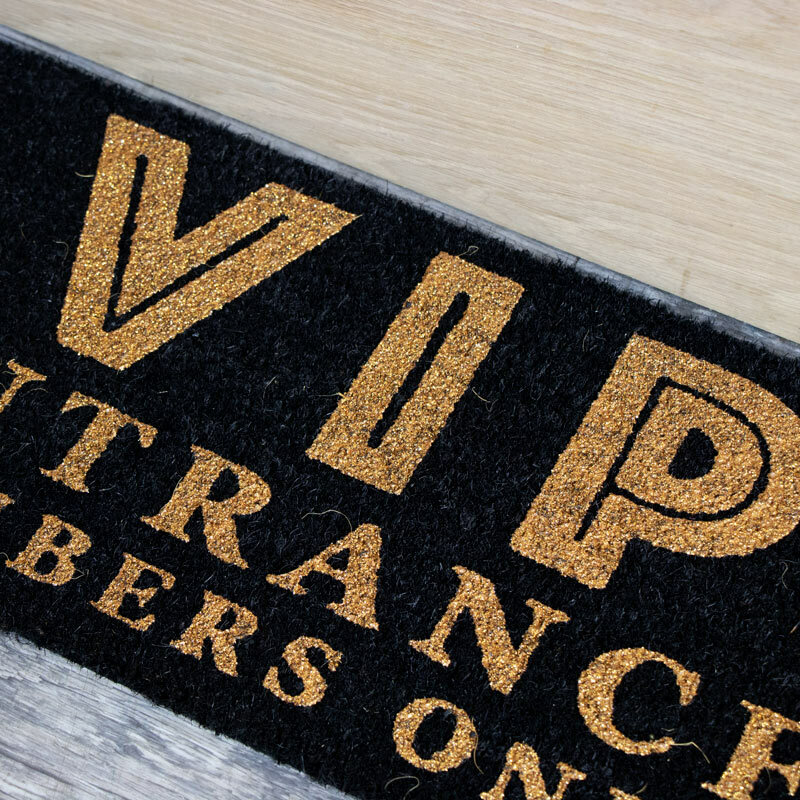 Welcome your VIP guests in glamorous style with this coir door mat. The perfect entrance mat for outside your door. Rubber backed with black coir top and gold lettering. This door mat adds a touch of humour to your home and will get people talking. Decorated with the words 'VIP Entrance Members Only' for a fun home accessory. Made from coir, in black, with rubber back, perfect for sitting outside your front or back door.